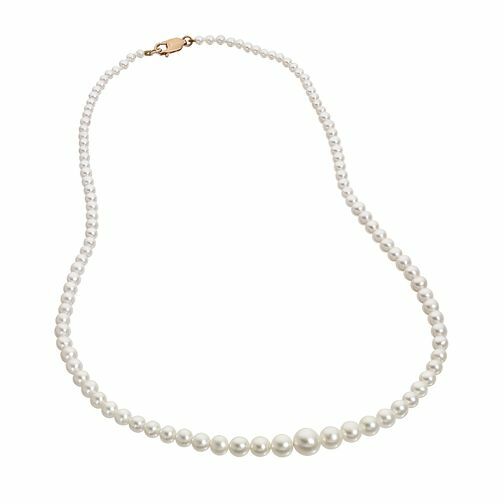 This elegant necklace features shimmering cultured freshwater pearls, graduating in size and a 9ct gold clasp. 9ct Gold 17" graduated Cultured Freshwater Pearl Necklace is rated 5.0 out of 5 by 4. Rated 5 out of 5 by Anonymous from Simple, beautiful pearls I bought this for my daughter's 30th birthday, and she loves it.